Just like in courtship, treating your prospect is a great technique to get their sweet affirmation. Treating your customers to a free, high-value service is a great way to make them choose you instead of your competitors. Make sure to put a minimum order for these kinds of promos to make it worth it for you as well. If it's too costly, you can just offer a discount on their delivery. Whatever happens, they’d surely consider your shop more. There’s actually 2 other ways for you to do this! Check out how to do this via this link. Transactions shouldn’t just be easy and pocket-friendly for your customers - it should be for you as well! By booking a multi-stop delivery with Lalamove, you can send to up to 20 customers in just a single booking! Talk about convenient, right? By doing this, you are optimizing the cost of your deliveries, which can make help make your life easier! 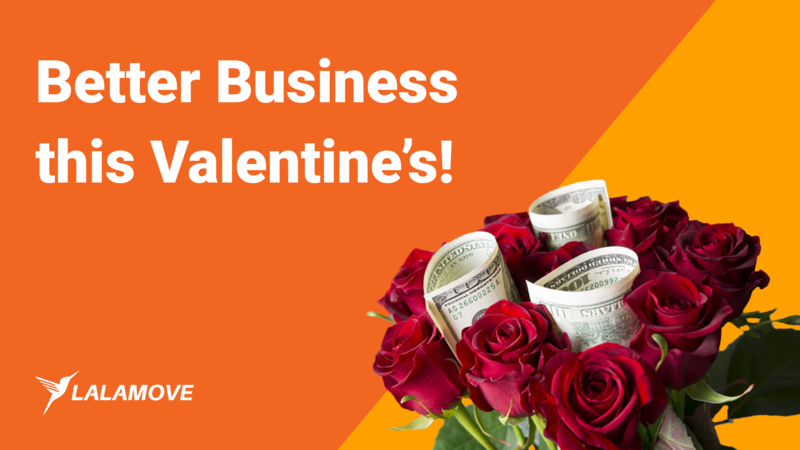 Love is in the air… and it smells like a great business opportunity, so you better make the most of it by getting Lalamove for Business! Sign up now!